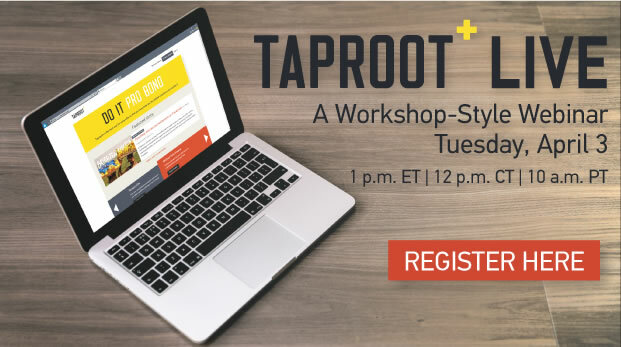 Join Taproot Foundation’s webinar on Tuesday, April 3rd for all the tools you need to get started on Taproot+, their cost-free online platform that connects nonprofits with skilled volunteers for short-term pro bono projects. During the event, Taproot staff will show you how to translate your challenges and plans into a clear volunteer request and guide you through posting your project live. Imagine what your nonprofit could accomplish in 2018 with the help of marketing, strategy, finance, HR, and tech experts. Register today and make it happen.